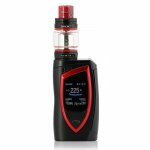 Smok Devilkin Mod with TFV12 Prince Tank included. Powered by dual 18650 batteries with micro USB charging capabilities. Delivering a maximum wattage output of 225W. Blade-shaped design with a lateral body measuring 86 x 49.6 x 34.2mm and adopting elegant curves and lines for a modern and ergonomic design. 177g weight. Upgraded user interface accessible via control buttons and the 1.3" OLED high-definition screen. Screen settings adjustable for various color display options, passive screen time, and auto lock control. Outfitted with various control modes, including Temperature Control (Ti, Ni, SS), VW Mode, and Memory Mode. Side fire bar for convenient activation. 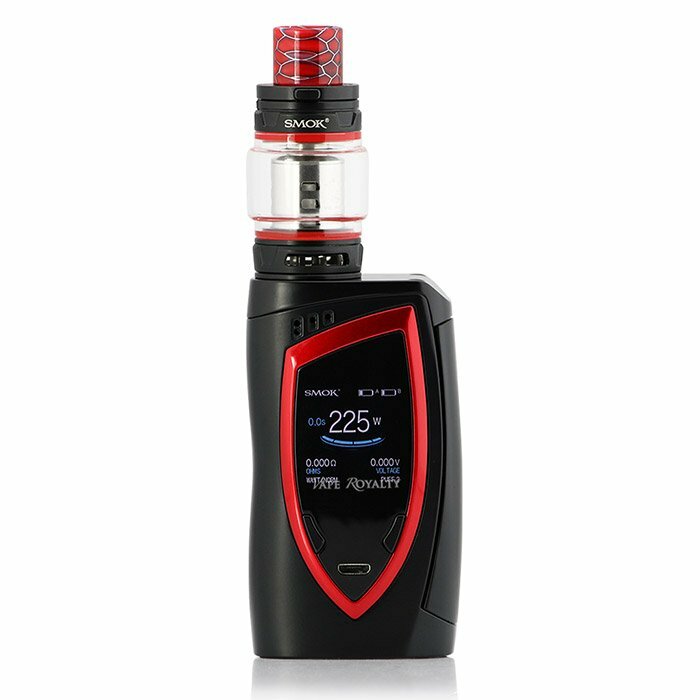 The TFV12 Prince Tank boast a 5mL E-Liquid capacity (8mL when using the convex bulb glass) and features bottom adjustable airflow and a press-to-open hinged top-fill system with lock. Wide bore 810 Cobra drip tip included. Superior stainless steel construction with a 25mm base diameter and SS 510 atomizer connector.